Like many ladies, I’m constantly looking for great deals on things that I need. My clothes are no exception. If I can spend half as much as others while still being the cutest girl at the party, that’s a triumph for me! 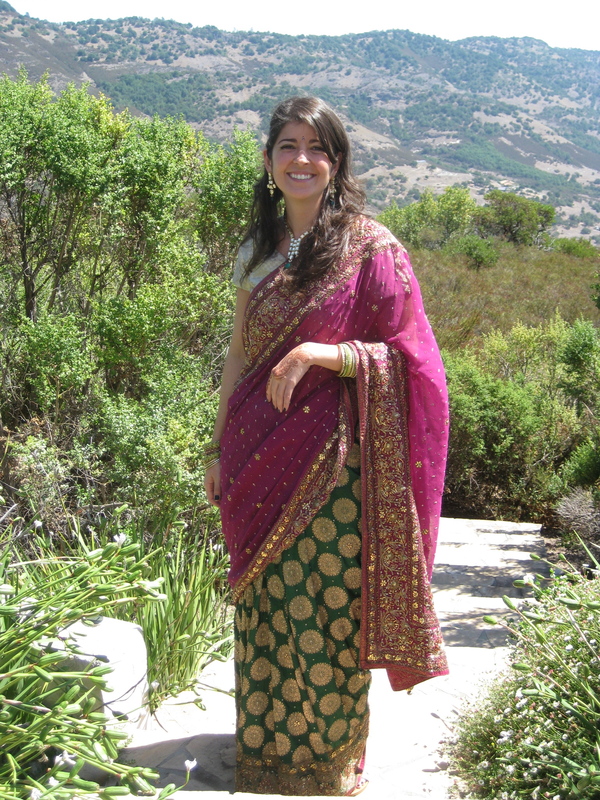 I was recently invited to a good friend’s Indian wedding in Napa Valley. The bride wanted her guests to be wearing Sarees. Due to my lack of experience with this garment I had a tiny moment of panic! Where would I get a saree? How will I know it’s a nice one? The last thing I wanted was to show up at my friends wedding having paid too much for something of poor quality. Luckily, by word of mouth, I heard about Borrow it Bindaas. When I started browsing the website my worries began to melt away. My favorite feature was the amount of time they allow for a rental. I was able to plan out my wardrobe well in advance and keep my sarees for as long as I needed without paying a ridiculous price. I even borrowed two! 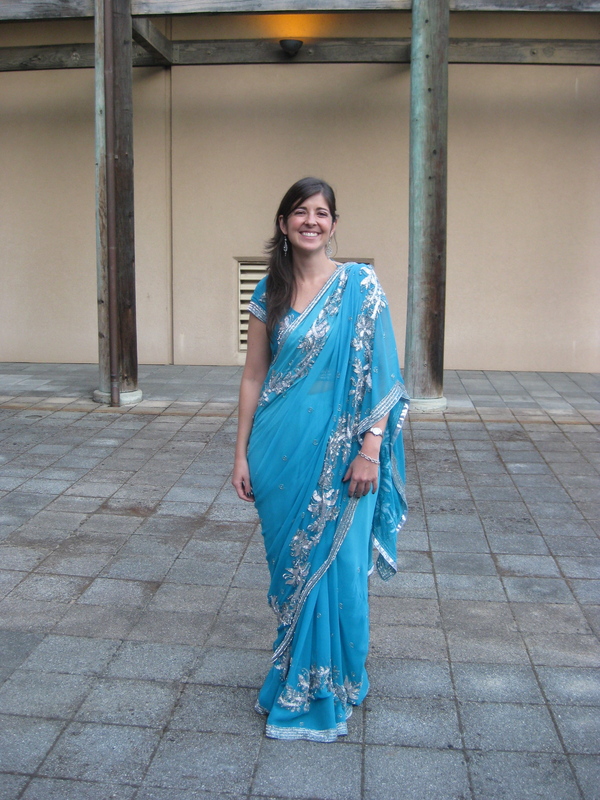 I chose the Sultana Dandelion Saree for the wedding because the bold colors stood out to me. The Arctic Wind Saree caught my attention as well, and I chose to wear it for the reception. I loved the dazzling details and shimmer. I even borrowed the Exlucisve Collection Geometric Set, which complimented the Sultana Dandelion Saree well! When the day arrived I already had my sarees and accessories well in advance. I was one of the few non-Indian ladies at the event and from a distance everybody thought I was Indian. All the ladies came over and said how beautiful my sarees were! I just felt so amazingly chic and opulent all weekend long. The return process was super easy! Just dropped off the envelopes at the UPS store and voila! Next time I’m asked to wear an Indian ensemble, I will not hesitate…. I’m Borrowing It Bindaas!